mafia went through multiple due diligence checks by different entities, which found nothing irregular. 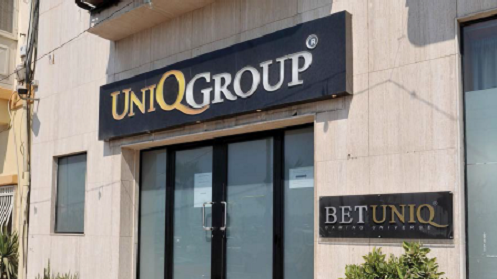 Uniq Group (Betuniq) and Betsolution4U had their licences suspended this week after an investigation by Italian police found what they believe are links to an organised crime network that used online gaming for money-laundering. ultimate beneficiary owners of these companies. This occurs before the actual business model of the gaming operation is screened and other control systems are checked and approved. Certain operators who would, at that stage, have satisfied all pre-licensing checks may still be considered a potential risk. GVM Holdings Limited, the firm that provided fiduciary services to the companies, said it had conducted its own due diligence checks before taking on the clients but no red flags were raised. The mother company of Uniq Group Limited and BetSolution4U, Start Games Limited has been a client of GVM Holdings for the past four years. former Prime Minister Lawrence Gonzi and his son as partners. David Gonzi said the identity of the beneficial owners of the company was divulged to the MFSA during its licensing stage. GVM Holdings has since terminated its services to the companies.